Dollar Store Pregnancy Test: Is it the Best Pregnancy Test? March 8, 2018 By Tina M Leave a Comment This post may contain affiliate links. Read my disclosure policy here. Who knew I would one day write a post about the Dollar Store Pregnancy test?! Kind of random, but I’ve had enough people ask me, that I thought it would be useful to share my experiences with them. 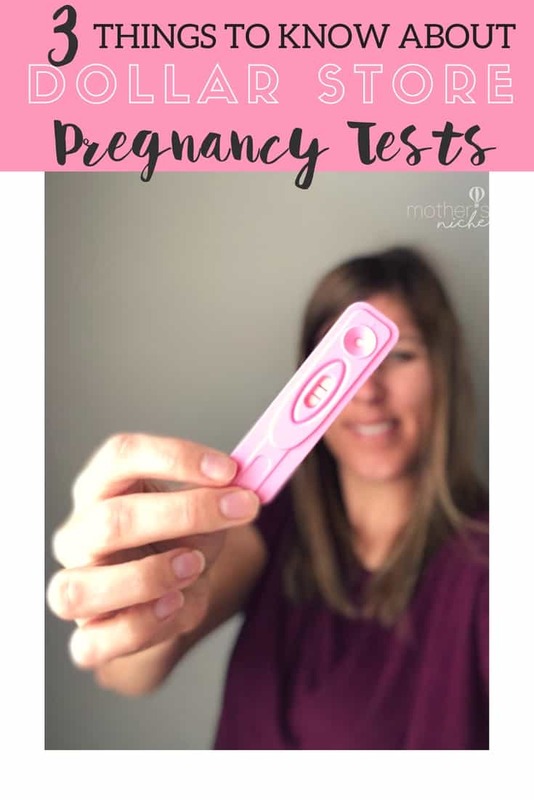 I’ve gone through my fair share of the Dollar Store pregnancy test (specifically these ones from the Dollar Tree), and have learned a few things, for those who have wondered if they were good enough. 1.) They are just as good or better than a lot of more expensive brands. Me and all my sisters only use the dollar store pregnancy test now, because other tests never seemed to test earlier, or more accurately. In fact, a lot of women on pregnancy discussion boards have said they were more accurate and by far the best pregnancy test, and some even mentioned they were used in their Dr’s offices because they were so good for the price. As far as least accurate, I’ve read many complaints that the digital ones (the ones that actually read the word “pregnant” or “not pregnant” are not as good. If you have only ever bought the more expensive brands, you might want to give the dollar store pregnancy test a try! That’s pretty good news to know that what may be the best pregnancy test is also the cheapest! 2.) Don’t give up too soon. My husband actually found out we were pregnant before I did on our first two kids because I tested, only saw one line appear, and then threw the test in the trash. He looked at it an hour later and saw that we were pregnant. I know the test says invalid after 5 min or so, but I’ve never known anyone to get a false positive, so it might be a good idea to take the test in the morning before you shower, and then check the results as you get out. 3.) You can buy them online. I live in a small town, so every time I go to the store my chances of running into someone I know are pretty high, and I don’t usually want to be seen buying pregnancy tests. You can buy them online here, or if you want them for even less than $1 and know you want more than one, you can get them here on Amazon as well. Amazon Baby Registry: Everything you need to know, including what comes in the free Amazon Welcome Box! Baby Registry Must Haves: All the best baby product recommendations from a mom of 4. What to pack in Your Hospital Bag: Including a few items most people forget!